Sashiko is a form of Japanese folk embroidery using the basic running stitch to create a patterned background. The geometric patterns include straight or curved lines of stitching arranged in a repeating pattern. The Japanese word Sashiko means "little stabs" and refers to the small stitches used in this form of needlework. Originally, sashiko was used as a form of darning to repair or add strength to worn areas of clothing or to create insulated double-layer coats. Due to its beauty and durability, it has become an art form rather than just functional and is very popular with quilters. The inspiration for traditional sashiko designs usually come from nature, such as clouds, rippling water or waves, flowers, and leaves. Designs can also be very geometric featuring interlocking lines, stars, squares, triangles, and circles. 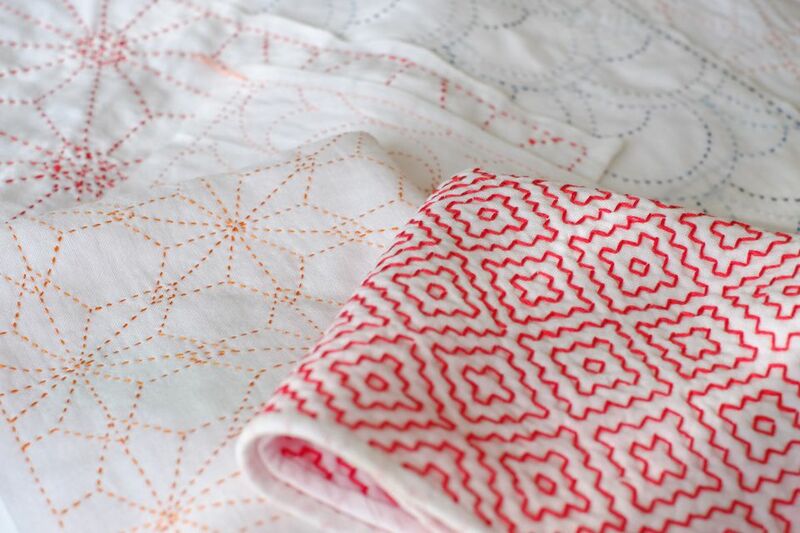 Tessellating designs―repeating shapes that are interlocked―are also very common motifs in sashiko embroidery. Each of the patterns typically has a history to it, and many have special meanings or common uses. For example, the Hishi or diamond shape is often seen in Japanese home decor. The hexagonal Kikko design (also known as turtle's shell or beehive) is considered a symbol of good fortune. Traditional sashiko uses indigo dyed fabric and white sashiko thread. Two layers of evenweave fabric such as linen or cotton and linen blends that are heavier than broadcloth are typically used for Sashiko. The open weave makes it easier to weave the needle through the fabric than that of tightly woven plain-weave fabric, and the layers help create a warm garment, insulated by the pockets of air formed while working the designs. Sashiko thread, a tightly twisted heavy-weight cotton thread is used in traditional Japanese sashiko, but several suitable embroidery thread substitutions are available if this thread is not available in your area. The most common is stranded cotton embroidery floss, size 8 or 12 pearl cotton, or fine crochet cotton. 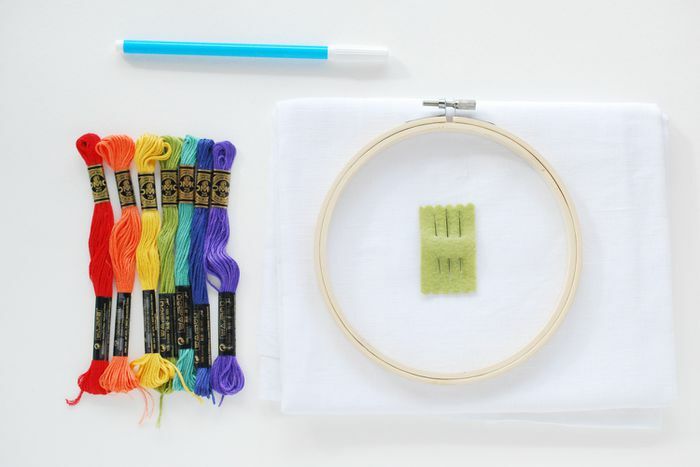 Needles for sashiko are typically very long with a large oval eye. If traditional sashiko needles are unavailable, milliner's needles or darning needles can be used with very good results. Sashiko patterns are worked in continuous lines, and many of the patterns look the same on both the right and wrong sides of the fabric. When working a 2-sided design, knots are not used and thread tails are typically not seen on either side of a traditionally-worked design. Instead, the tails produced by starting and ending a length of thread are hidden between the two layers of fabric. For designs that are not to be seen on both sides, a temporary away knot can be used, and thread tails threaded through the back side of the stitching.